This week we’ll be spending a lot of time looking at ripple stitch patterns. There’s always a lot of increasing and decreasing going on in them, so it’s a great opportunity to learn 3 of the most common decreases to get rid of one stitch every once in a while. The swatches in this post were knit from Fibra Natura’s Cotton True Sport 100% Pima cotton yarn. Paired decreases in knitting. On the right are both ssk and skp, and on the left, k2tog. Looking at the above image, you can see that there are paired decreases. This means that 2 stitches are decreased, but the angle or the “lean” causing the decreases is controlled so that they lean towards each other in pairs, or they lean away from each other. Actually, for this particular ripple stitch pattern, you stop 4 stitches from the center of the ripple “valleys” and you decrease twice leaning to the left, then with the next 4 stitches, you decrease twice leaning to the right. Now let’s look at how to make these leaning decreases. In the above photo, you can see near the left edge several left-leaning decreases. There are 4 common decreases that all end up leaning to the left. Well, 2, but some are variations of the others. A cast-off decrease is used the least because it adds a bit of bulk to the fabric and to the 2 stitches being used to make the decrease. To knit a cast-off decrease you knit 2 stitches and pass the second one on the right-hand needle over the first. It’s not pictured above, but try it. You may like the extra texture that’s added to the fabric. To lessen that bulk, a more common decrease is commonly referred to as the skp decrease. This means that you slip one stitch, you knit the next stitch and you pass the slipped stitch over the knit one. This is sometimes abbreviated, sl 1, k1, psso. A third left-leaning decrease is the ssk. This stands for slip each of next 2 sts knitwise, return to left-hand needle, knit together through the back loops. This stitch lies flatter than the skp decreases. When knitting with cotton, like I did with these swatches, the stitch definition is usually quite crisp and every decrease is visible. Designers often take advantage of this and work decreases in to fabric to create movement of lines or to take the viewer’s eye on a journey along the fabric. When you want to achieve a more discrete ssk, another variation is to do the following: Slip the first stitch knitwise, slip the 2nd stitch purlwise, and then knit 2 together through the back loops as usual. It’s very subtle, but this variation is slightly flatter. This sample shows left leaning and right leaning decreases as well as a few double decreases. I knitted the above swatch with Red Port Cotton True Sport by Fibra Natura (see more about this pima cotton yarn in yesterday’s post). 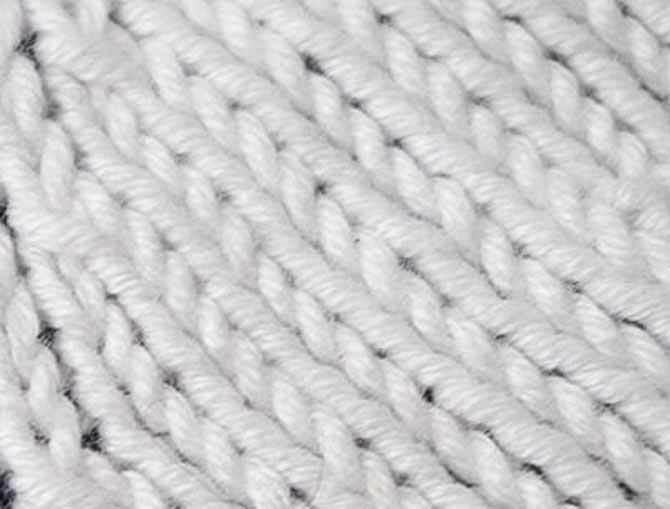 It’s a lovely yarn that gives great stitch definition. It’s easy to see the 2 triangular points that are formed by paired decreases that are flanked on each side by eyelets made with yarn overs. 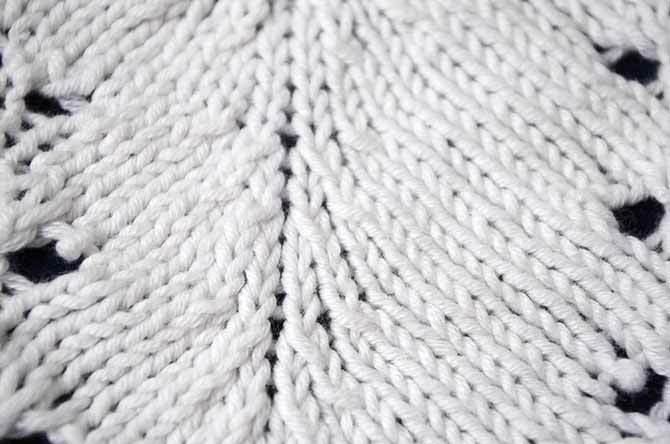 To make the right leaning decrease, the standard method is to simply knit 2 stitches together through the front loops. This is the most common decrease. 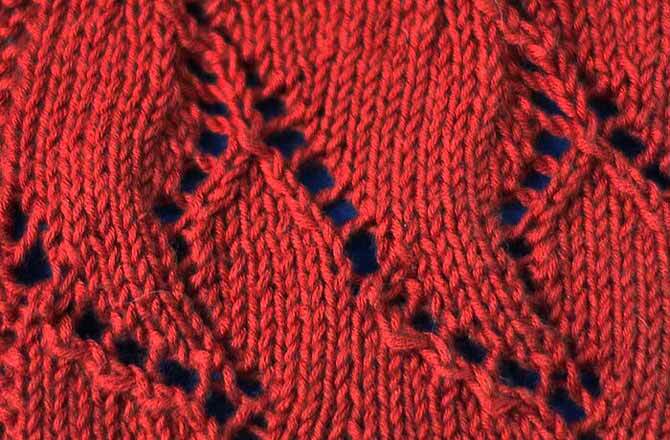 A variation on the right-leaning decrease is to do the following: Pass the 2nd stitch on the left-hand needle over the first and then knit the first stitch. This creates a bit of a raised decrease, so it’s more visible and creates a unique look. 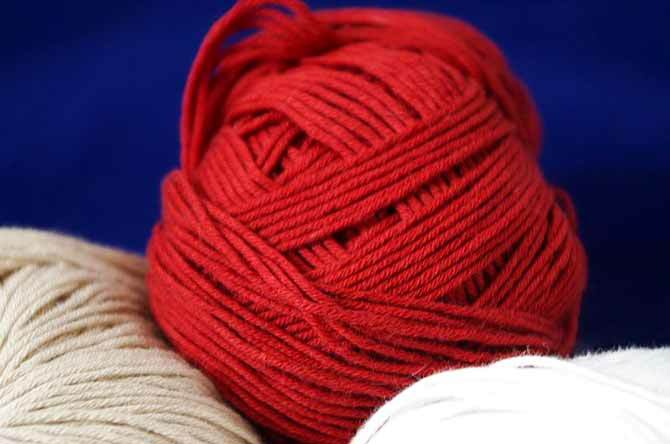 You may have noticed in the swatch with the red yarn that some of the decreases eat up 2 stitches instead of the usual 1. There are actually many different ways to decrease 2 stitches at a time. We’ll look at these in a future post. Cotton True Sport. Port Red at the top, beige on the left, and white on the right.